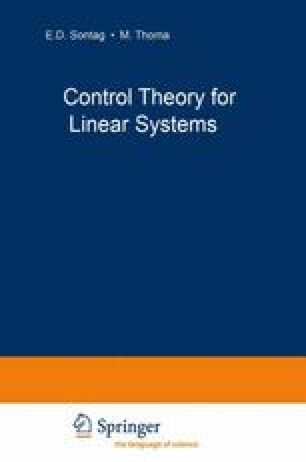 In this chapter we consider the H 2 optimal control problem. Given a controlled linear system with a white noise disturbance input, we show that the size (in an appropriate sense) of the controlled output is equal to the H 2 norm of the closed loop transfer matrix. Motivated by this, we define the performance of the controlled system to be the H 2 norm of the closed loop transfer matrix. This gives rise to the H 2 optimal control problem: for a given control system, minimize the square of the H 2 norm of the closed loop transfer matrix over the class of all internally stabilizing feedback controllers.